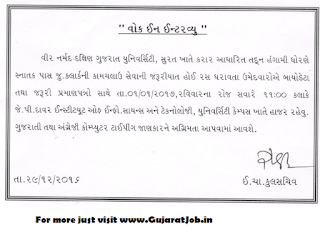 VNSGU RECRUITMENT FOR JUNIOR CLERK POST 2016-17. 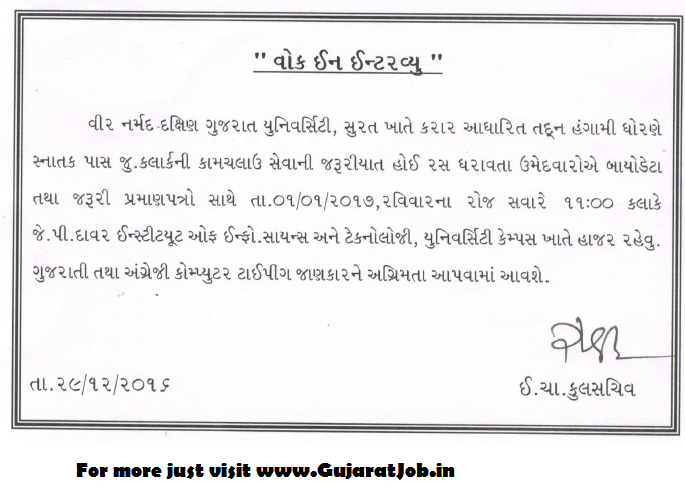 Veer Narmad South Gujarat University (VNSGU) has published Advertisement for below mentioned Posts 2016-17. Other details like age limit, educational qualification, selection process, application fee and how to apply are given below. Venue : VNSGU, J.P. Dawar Institute of Info. Science and Technology, University Campus, Surat. Walk-in-Interview: 01-01-2017 SUNDAY, at 11:00 a.m.